After she was humiliatingly fired from her dream job as a fashion buyer for Bishop’s Department Store, Kelly Quinn returned to upstate New York’s Lucky Cove to take over the consignment shop left to her by her grandmother. Renaming the store as Curated by Kelly Resale Boutique didn’t thrill her grandmother’s employee Pepper Donovan, but that’s nothing compared to the disruption caused by resident psychic Bernadette Rydell. After putting on one of the shop’s consigned dresses, Bernadette collapses and upon awaking declares that the previous wearer was involved in a murder. A meeting with the dress’s original owner doesn’t go well, but attempting to find further answers from Bernadette proves to be far worse. Now that the dress is also linked to a verifiable present-day murder, business at the consignment shop tanks and Kelly’s uncle is poised to swoop in and take over. Determined to save her business and reputation by proving her innocence, Kelly attempts to learn more about who could have wanted the victim dead. Returning home is never easy, and Kelly had left behind more than a little emotional baggage. Her sister still blames Kelly for the car accident that injured their friend, and Kelly herself carries no small amount of guilt. Mending relationships and forgiving herself will be as instrumental to Kelly’s successful return home as solving a murder, especially if she wishes to keep her grandmother’s dream alive. All Kelly has to do is avoid the stigma of haunted merchandise, dodge a lawsuit, and deal with her uncle’s newest trophy wife. This debut series introduces a warm and very likable young heroine who found herself uprooted just as she was feeling established in her life. When it comes to the fashion business, though, Kelly has enviable confidence in her skills for someone only her in late twenties. The process of consignment shop purchasing and pricing is fascinating, especially when it allows her access into suspects’ and witnesses’ homes. Kelly’s integration back into Lucky Cove is a delight to follow as she garners new allies, repairs friendships, and begins the promise of a new romance. 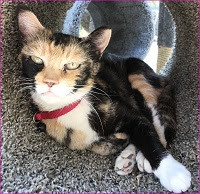 Her best friend Liv brings emotional support and muffins, while Kelly’s granny’s rescue cat Howard adds his own share of humor as he serves by serving as a sounding board for Kelly while still demanding his share of tuna treats. This is the start of a fun new series full of descriptions of designer fashion and led by a heroine who is relatable, vulnerable, and intelligent. 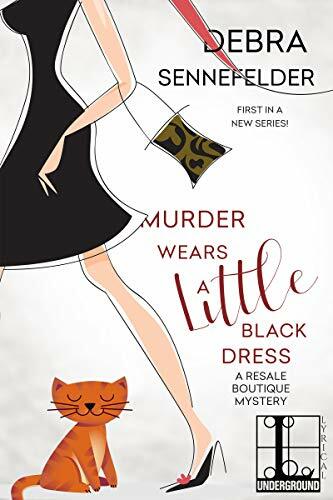 To enter to win a copy of Murder Wears A Little Black Dress, simply email KRL at krlcontests@gmail[dot]com by replacing the [dot] with a period, and with the subject line "dress,” or comment on this article. A winner will be chosen February 16, 2019. U.S. residents only.If entering via comment please include your email address. You can read our privacy statement here if you like. Love the cover, sounds like a great read. You are the winner. Just sent you an email as I need your mailing address. I like your post & I will always be coming frequently to read more of your post. I am sharing Nexter Org news this blog with you for more information. Thank you very much for your post once more.